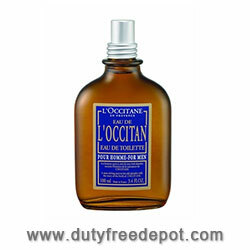 An aromatic Fougere fragrance for men, L'Occitan Eau de Toilette for Men was launched in 2005. Created through the distillation of lavender, blended with the peppery, nutmeg scent of burnt wood, L'Occitan is a panoramic and complex fragrance, redolent with the rich scents of Provence, in all their ruggedness and mystery. Base notes: tonka bean, musk and woodsy notes.